It takes 89 years to create movement this beautiful. At Bang & Olufsen, innovation begins with understanding user needs before converging technology and craftsmanship to deliver design with lasting value. BeoVision Avant is an exact representation of this philosophy and evidence that high-end, multimedia entertainment can coincide with uncompromising design. 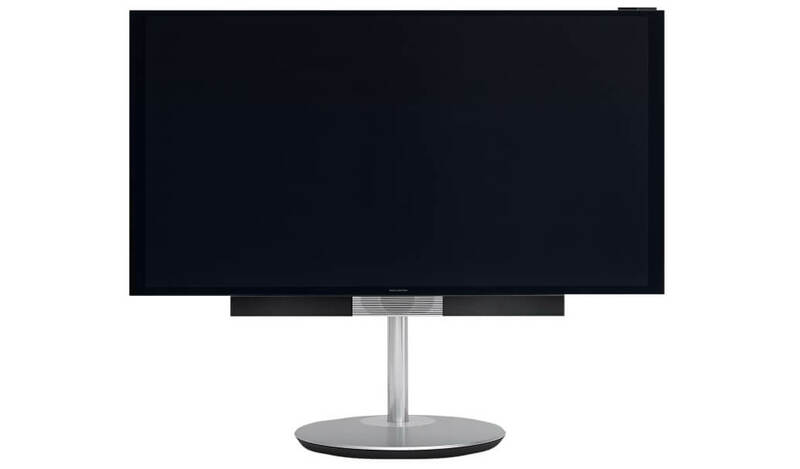 With the innovative BeoVision Avant, Bang & Olufsen redefines the television’s place in the home. Sublime Ultra High Definition (4K) video performance and jaw-dropping acoustic authenticity are built in. But BeoVision Avant also amazes with magical convenience based on a strong understanding of how we want to live with the television – and how high-end multimedia entertainment can go hand in hand with uncompromising design. BeoVision Avant is available in sizes 55 inch, 75 inch and 85 inch. Based on Bang & Olufsen research and innovation, this flagship entertainment centre has the muscle and finesse to deliver breath-taking performance when family and friends gather around it. On the flip side, BeoVision Avant also presents the good manners to blend in to the living room – and with the family’s lifestyle – when people choose to do something else. 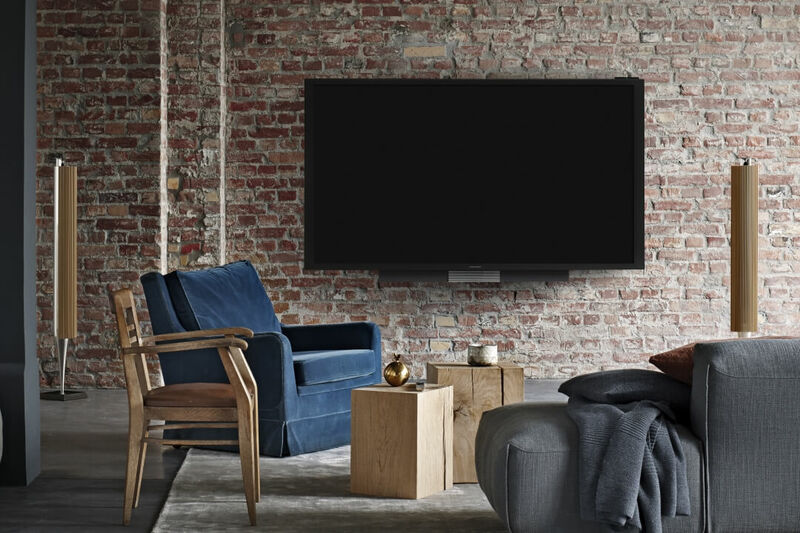 The BeoVision Avant was additionally conceived to last in a changing digital world, and is ready and able to work seamlessly with all the devices and content sources anyone in the family might want to use – without any of the complexity. Magic mechanics for maximum comfort. 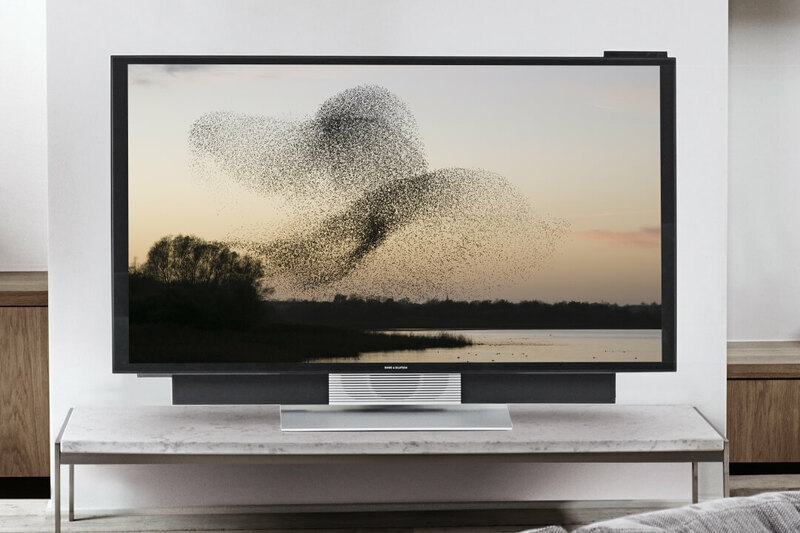 In the Bang & Olufsen tradition of taming technology in the service of simplicity, BeoVision Avant introduces a number of innovations that build new bridges between electronics and magical movement. To create such amazing and impressive sound from a flat screen television, the designers have created a discrete but powerful sound panel that unfolds when the television is on, then retreats inside when one turns it off. The sound panel’s movements are coordinated with those of the new stands so the television is ready for viewing and listening in one choreographed flow. BeoVision Avant’s innovative stand program includes wall, floor and table options which make integrating even a very large television into the home décor easier and more flexible than ever before. The concept vision was to create a TV which stays in the background of the living room when turned off and wakes up to action and takes centre stage when turned on. Rather than arranging your room around the television, the new stands turn the television toward you when you want to use it – then back in place when you have finished viewing. Furthermore, other positions can be set. 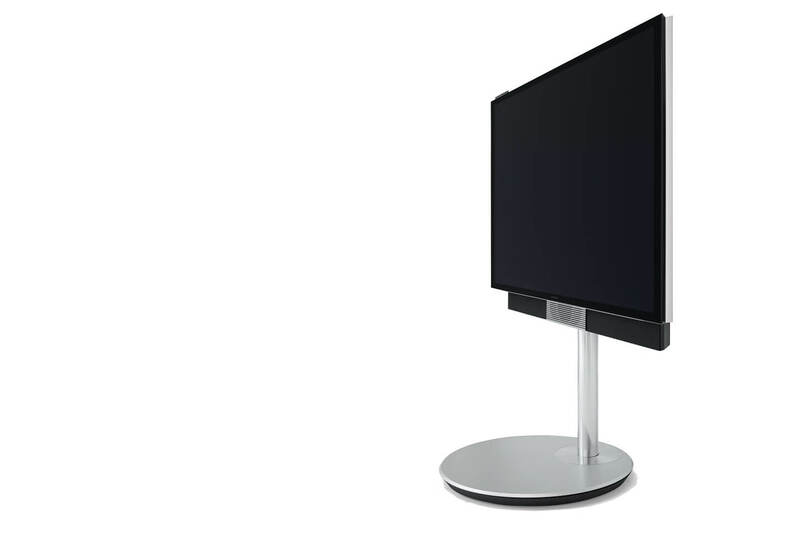 The floor stand gives the BeoVision Avant incredible flexibility because it can be moved up to 90 degrees in order to seek the optimum viewing angle. The table stand tilts the BeoVision Avant-55 slightly back so that the screen appears to float above the table and the table stand itself even is invisible. Is the TV turned on, it is tilted in the vertical position so that the speakers can come to light under the screen. The BeoVision Avant can be elegantly mounted on the wall and can then, in spite of its size, swing up to 60 degrees from the wall into the room. 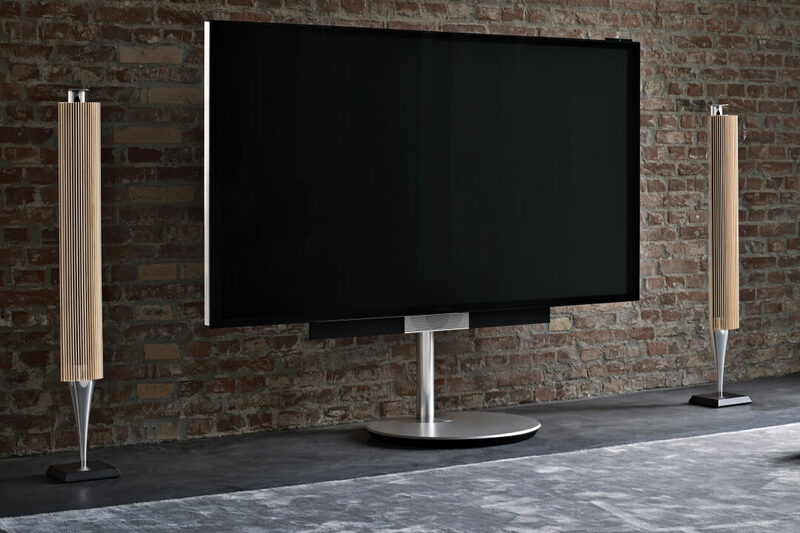 Consistent with Bang & Olufsen, BeoVision Avant sounds extraordinary right out of the box, but be prepared to discover just how good a television can sound with no fewer than eight driver units and eight dedicated amplifiers built in. The sound panel magically glides from the television when it is turned on and performs brilliantly on its own. 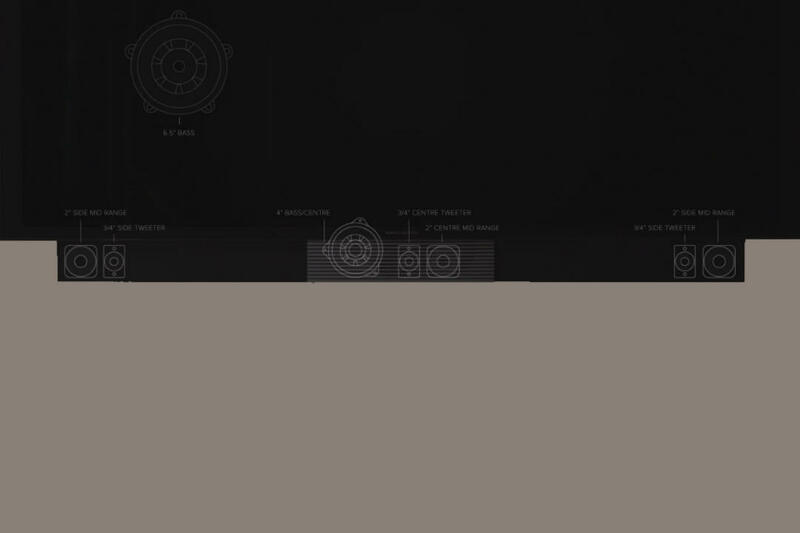 The dedicated center speaker sits directly below the screen, enhancing the connection between you and the actors with exceptional clarity of speech. You will hear even the smallest details in the dialogue and nuances in the sound scape – allowing you to become fully immersed in the story - Enjoy experiences as they were meant to be. 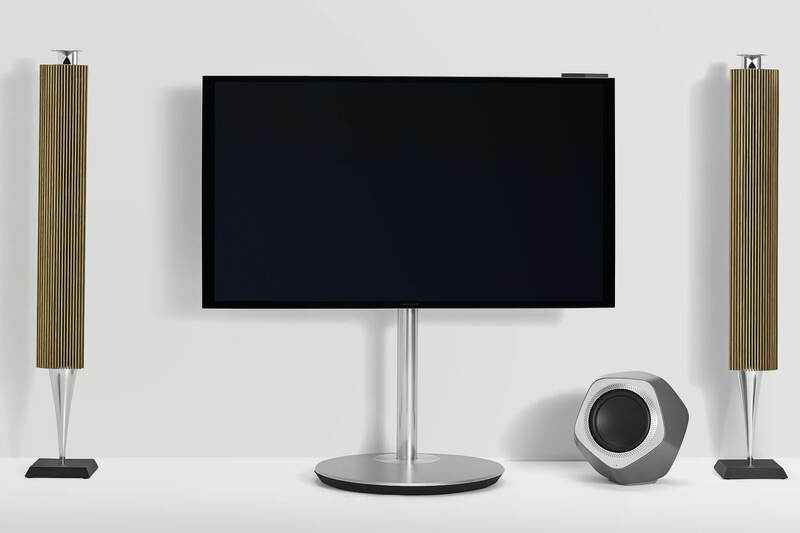 Precision tuned to Bang & Olufsen’s most exacting standard, BeoVision Avant redefines the audio impact a TV can deliver. The 3-channel speaker system harnesses three dedicated tweeters, three midrange units and two powerful bass drivers. B&O's engineers have pioneered speakers that optimize bass output depending on their relative position from the wall. The result is a fusion of clarity and power that truly embodies Bang & Olufsen’s commitment to ultimate sound. If you want to connect external speakers to create a true surround sound experience – either wireless or wired – it could not be simpler with the integrated 7.1 surround sound module. BeoVision Avant manages your speaker output depending on your setup and taste. In a full surround setup with two additional front speakers, a subwoofer and two rear speakers, BeoVision Avant devotes all its built-in drivers to dialogue. Alternatively, BeoVision Avant can replace the two additional front speakers by splitting its own drivers into dedicated right, left and center channels. For the most flexible and discreet full-surround setup incorporate our Immaculate Wireless Sound speakers for multi-channel wireless audio. BeoVision Avant lets you configure multiple speakers to precisely tailor sound depending on the room and listening position. You can further optimize and refine these individual sound zones using the included microphone. 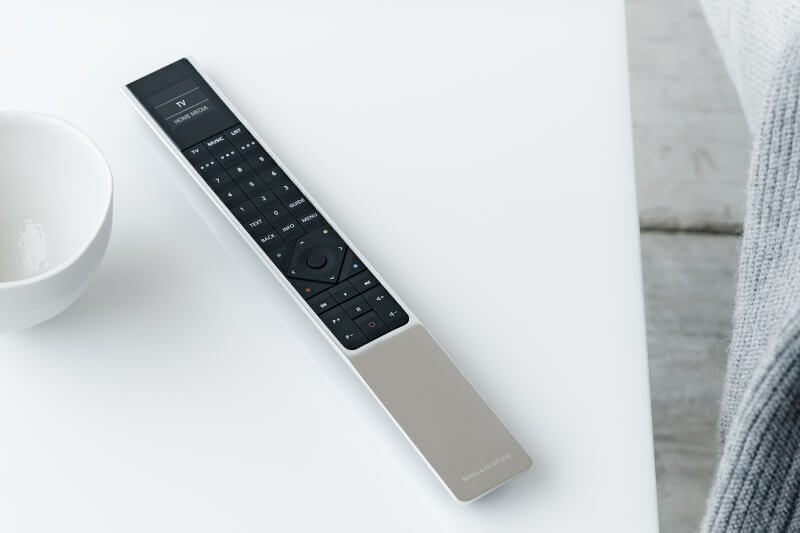 Simultaneously with the BeoVision Avant Bang & Olufsen presents a new fully programmable remote control: The new BeoRemote One introduces the “My-Buttons” feature which enables the user to create up to three personalized settings available at one simple touch. A setting can include channel, volume setting and even stand and directional positioning of the TV. This allows you to recall all settings by the touch of one single button. 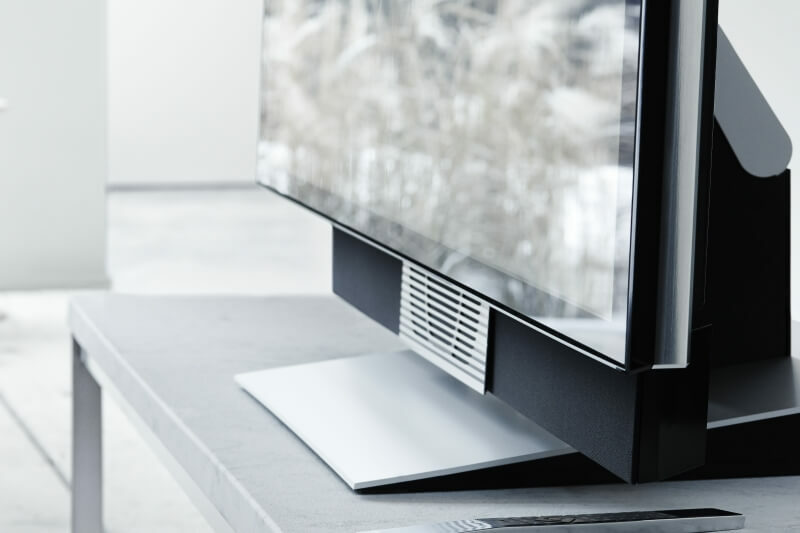 A connection to Bang & Olufsen wireless speakers via the built in Immaculate Wireless Sound solution is as easy as turning on the television. Fully Internet-ready, and with room for Apple TV and a hard disk drive to be hidden within the back panel, BeoVision Avant is also the perfect hub for web-based content. 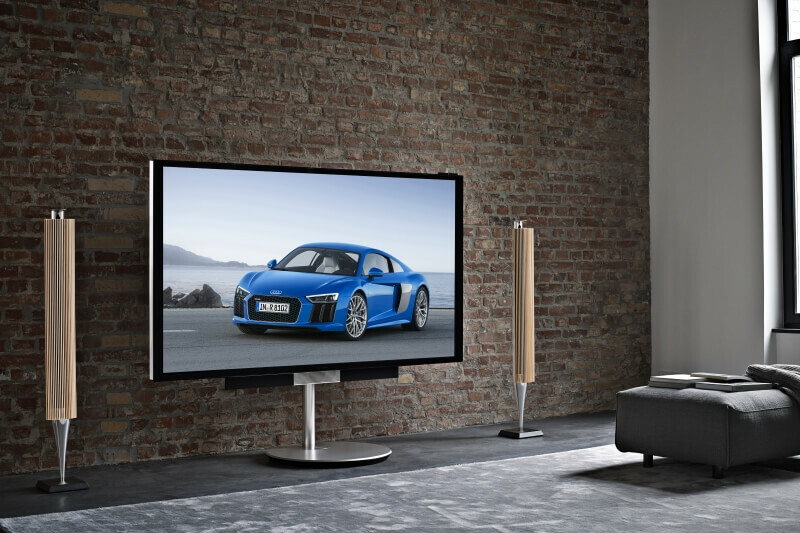 Unlike all other multi-room systems Bang & Olufsen succeeded on integrating the TV into the experience. 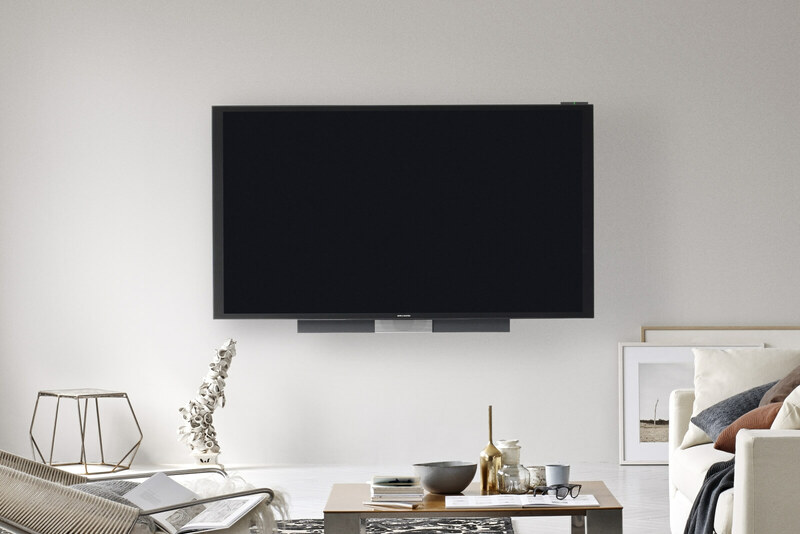 Use the speakers connected to your Bang & Olufsen television, to listen to music or to transmit the sound of the television in another room. 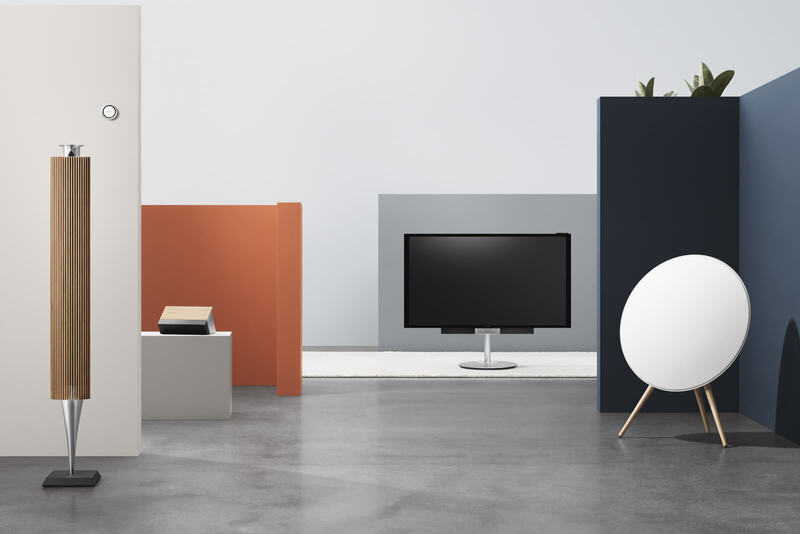 BeoLink Multiroom brings together your Bang & Olufsen products in a wireless system that gives you maximum freedom. 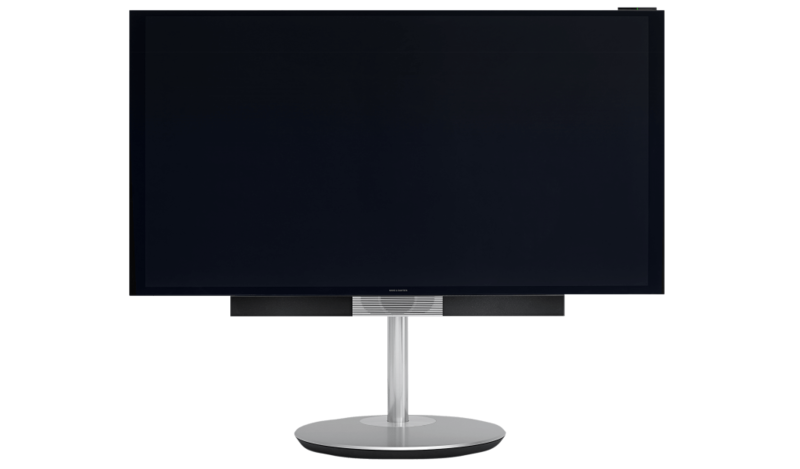 The new BeoVision Avant offers a spectacular UHD-Image reproduction (Ultra High Definition) with a 4K resolution. 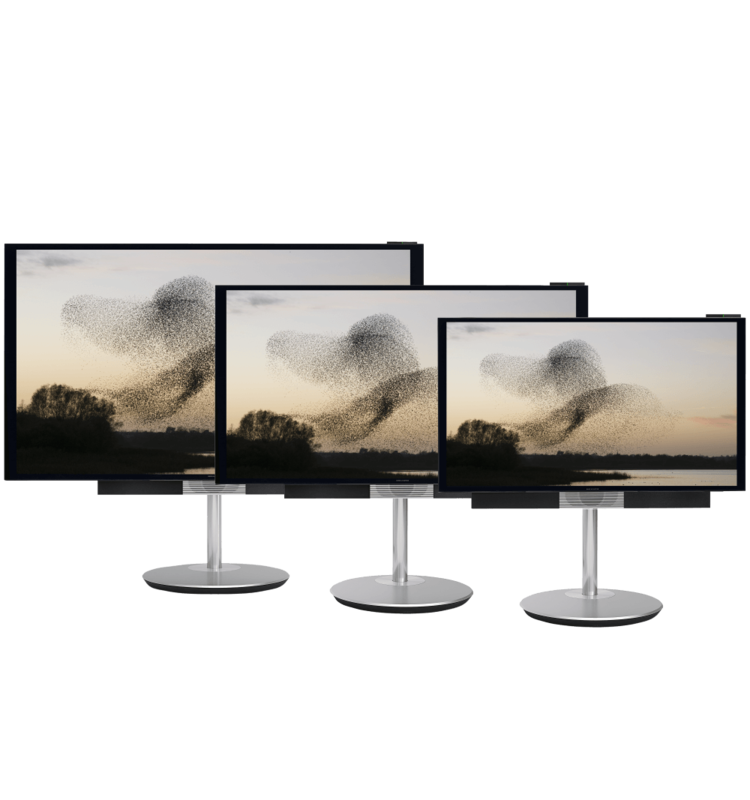 BeoVision Avant combines local dimming across more than 8 million pixels, bringing out the tiniest details in the action. Experience the most extreme sports or action footage with crystal sharp, dynamic precision. Even when the screen is bathed in full daylight, the adaptive contrast algorithm ensures pitch-black shadows so your eyes can enjoy the experience without strain. 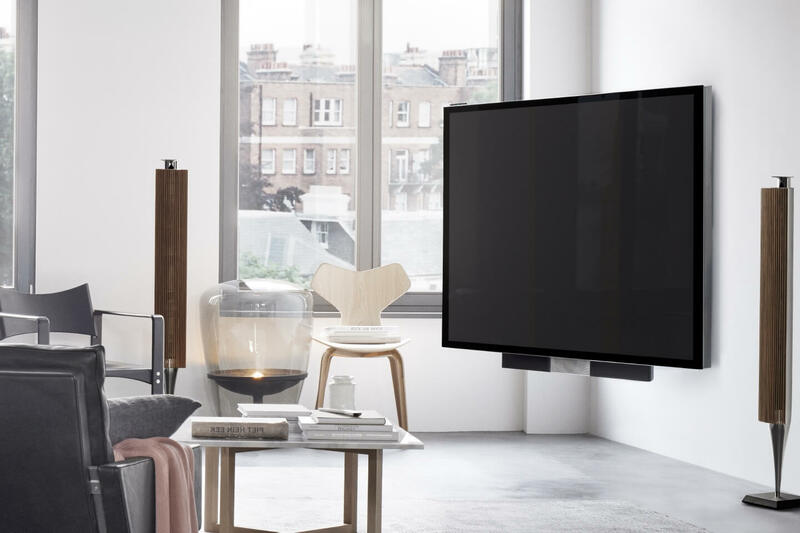 Besides a number of image technologies that are patented by Bang & Olufsen, the new TV offers another new feature called "Chromatic Adaptation Room". This feature analyses ambient light from two sensors, and adjusts the screen to compensate for the room’s color tones. High-grade anti-reflection coatings on both sides of the screen dampen reflections by 98%. The result is a brilliant and impressively sharp image quality. 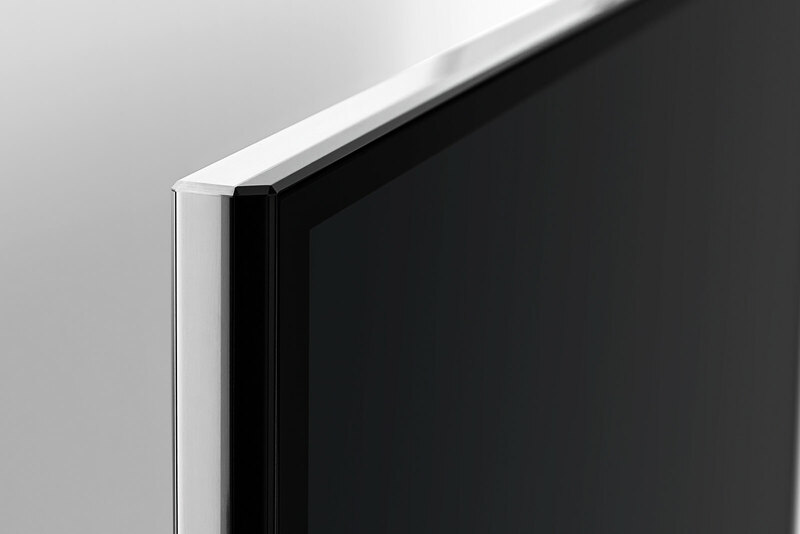 The design philosophy of BeoVision Avant celebrates smooth, natural transitions. The seamless flow of the glass screen into the high-gloss, black anodized aluminum frame is a feat of incredible subtlety. 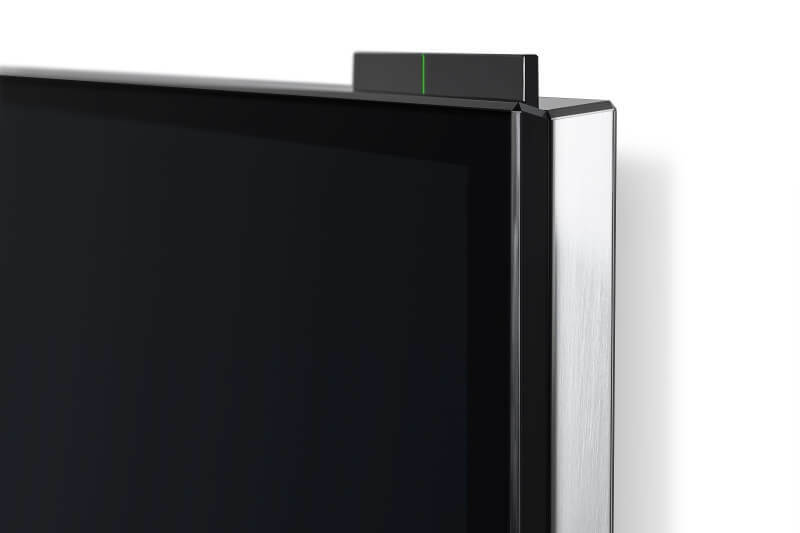 Our attention to detail also applies to the rear part of BeoVision Avant. A sleek, minimalist delight that hides connectors, unsightly card readers, vents, screws and cables out of sight, including a dedicated compartment for your Apple TV. Experience BeoVision Avant in your home! Don't miss a manufacturer's campaign or other advertisings where the price is reduced for a limited time. We will inform you automatically if your desired price for BeoVisionAvant is reached or we have another suitable offer for you.